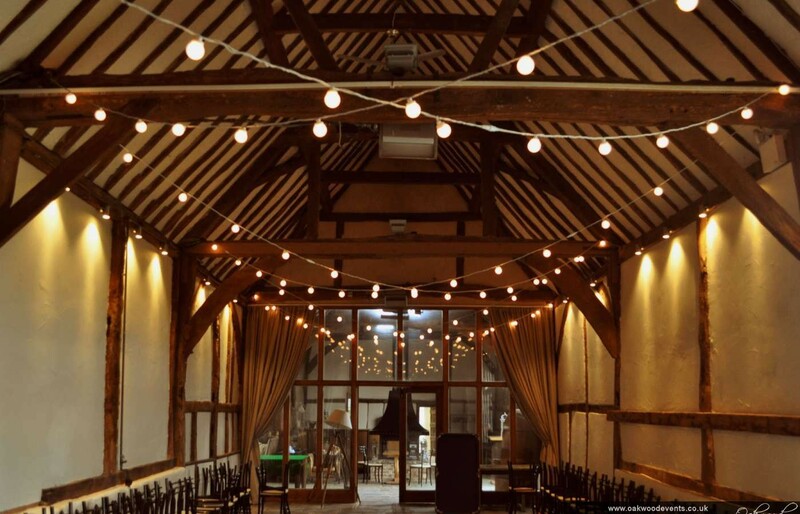 Oakwood Events Blog - Posts Tagged "Barn Lighting"
This was a lovely lighting scheme for a really lovely couple holding their wedding reception at the Monks' Barn in Hurley, Berkshire. 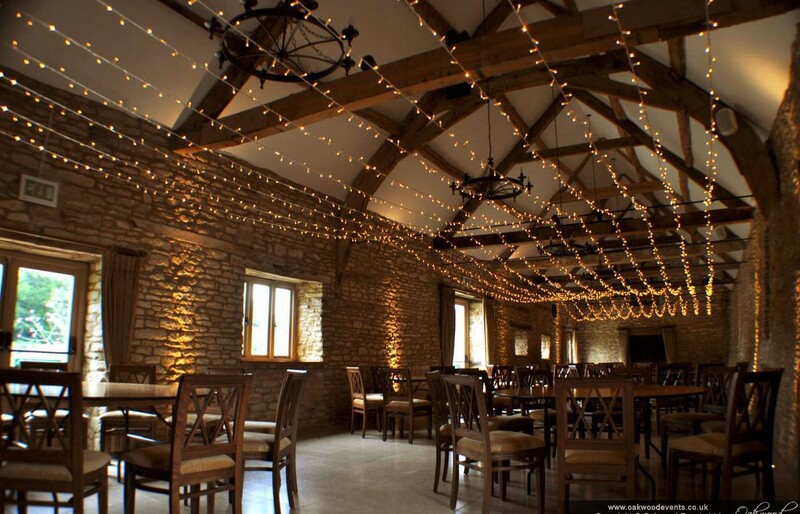 We installed fairy lights, chandelier, paper lanterns, uplighting, outdoor lighting and a full length curtain over the barn doors. 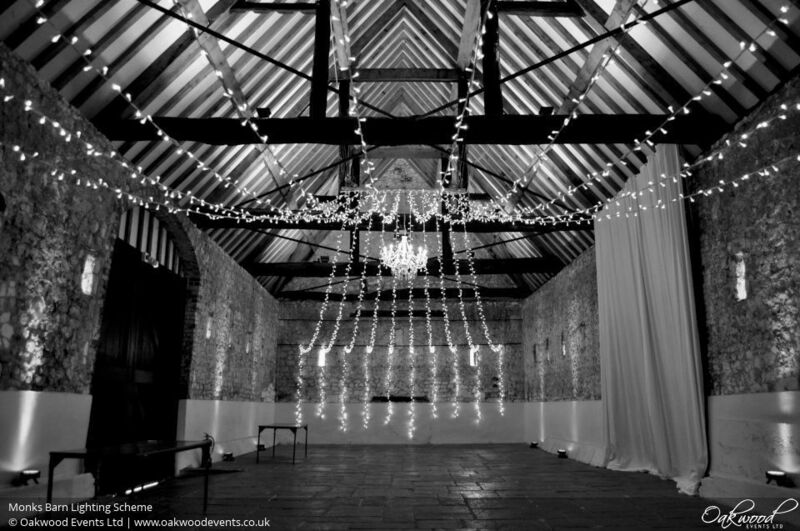 The transformation was amazing! 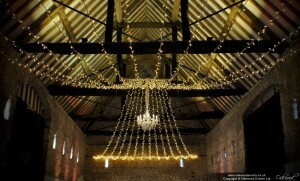 We installed this canopy of fairy lights into the Tithe Barn at the Olde Bell in Hurley for a frosty winter wedding. 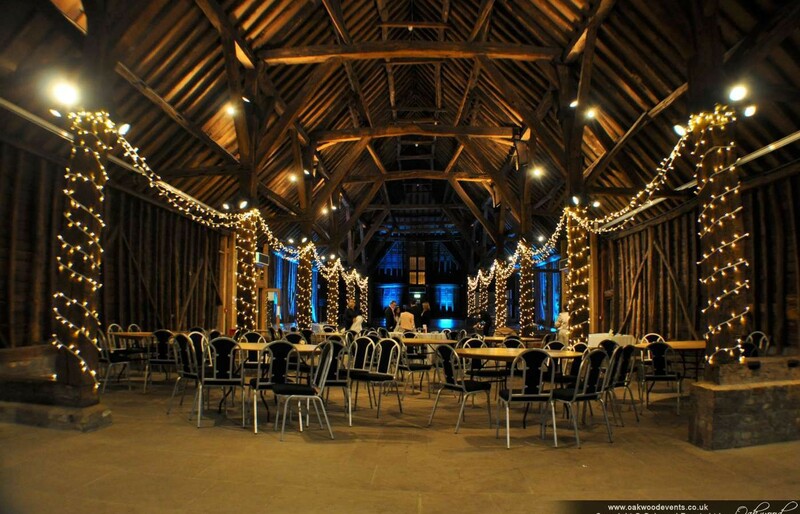 This is the large Tythe Barn at Tewin Bury Farm, where we installed a star-shaped canopy of fairy lights radiating out from a high central point to the edges of the room. 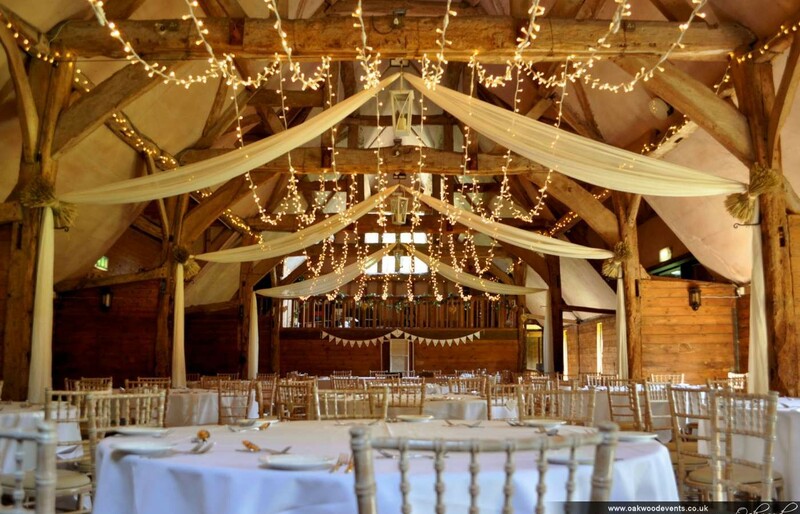 At the centre of the canopy is one of our gorgeous 12-arm ivory chandeliers. 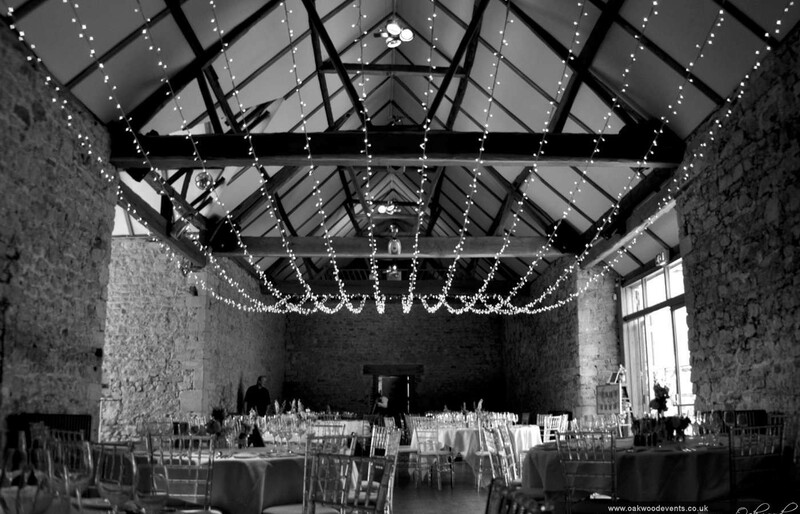 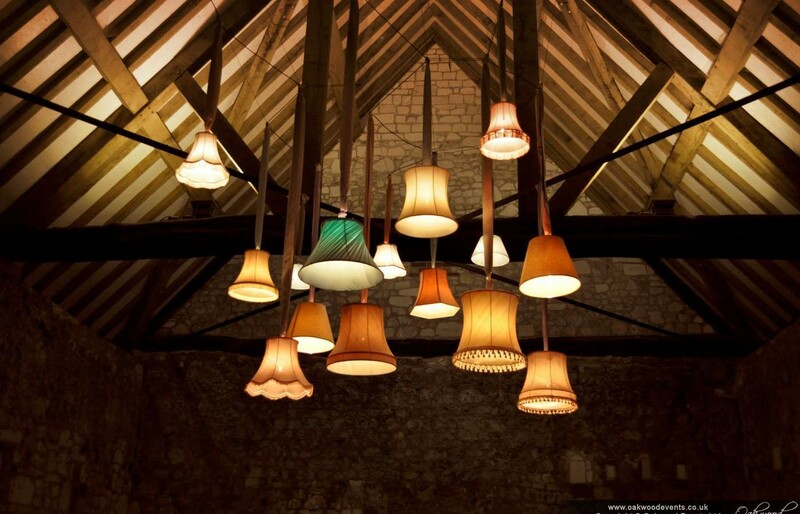 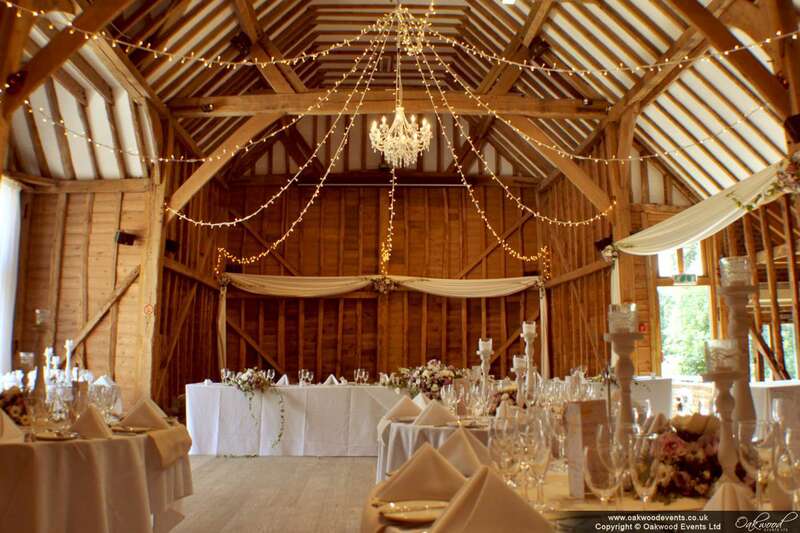 Here’s our long, multi-swag fairy light canopy in the fabulous Wenman’s Barn at Caswell House. 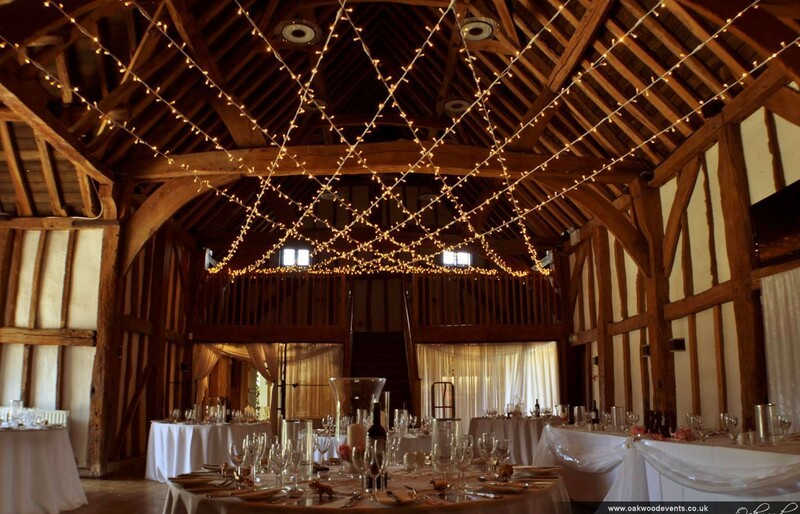 The lights are tailor-made to fit the barn’s dimensions, suspended from the beams in three long, sweeping swags. 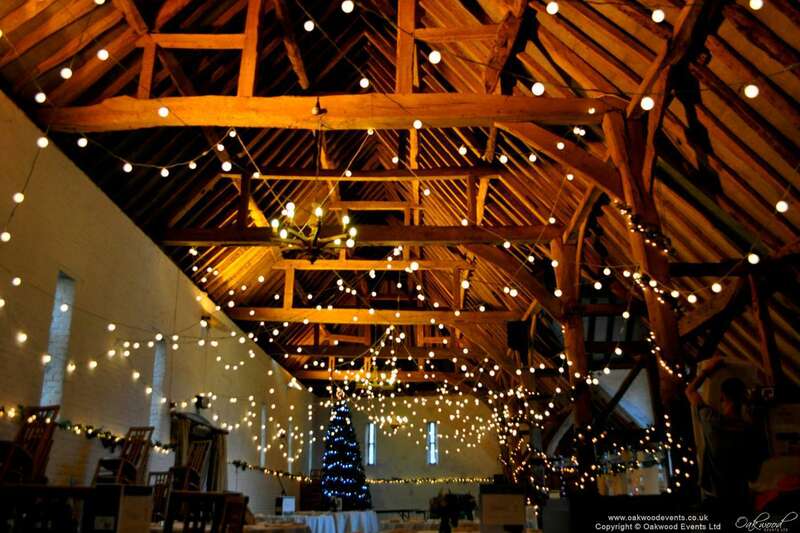 There are so many ways to use fairy lights at weddings and sometimes a simple, bold design works best. 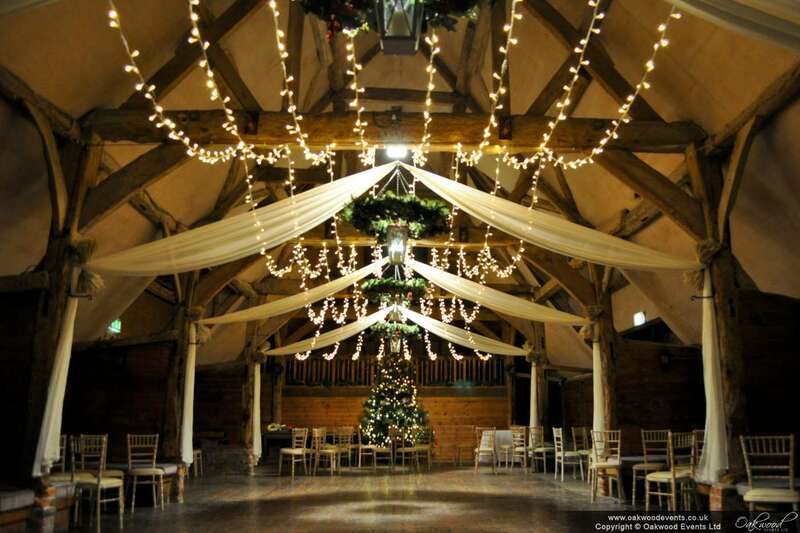 This large canopy of fairy lights at Notley Abbey was hung in one large swag between the two outermost beams creating a stunning, elegant display. 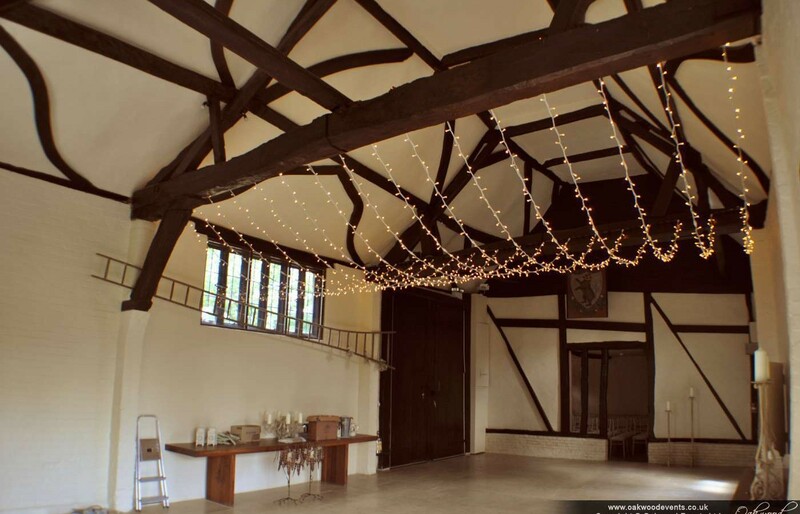 We were recently asked to install a large, high density canopy of fairy lights in the Dawley Barn at Lainston House in Winchester as a way of lowering the ceiling and enabling the modern ceiling lights to be left switched off in the evening. 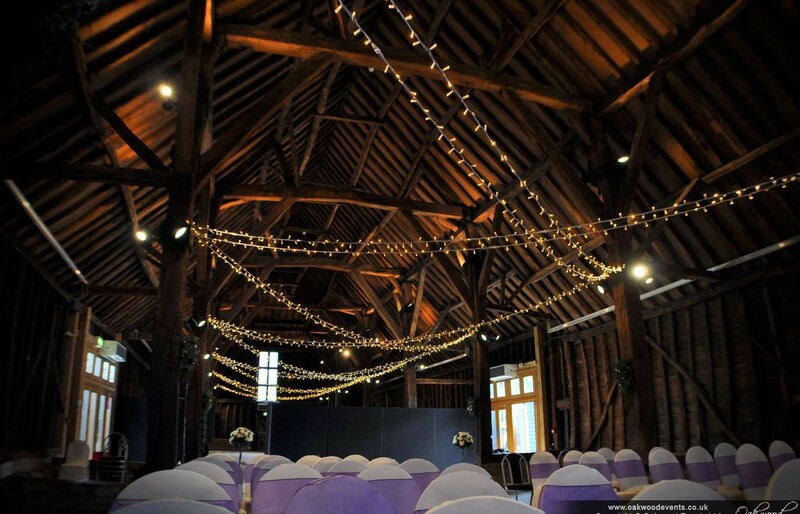 The Tudor Barn in Burnham is a large, oak-framed barn with balconies at both ends, making it perfect for an overhead canopy of fairy lights. 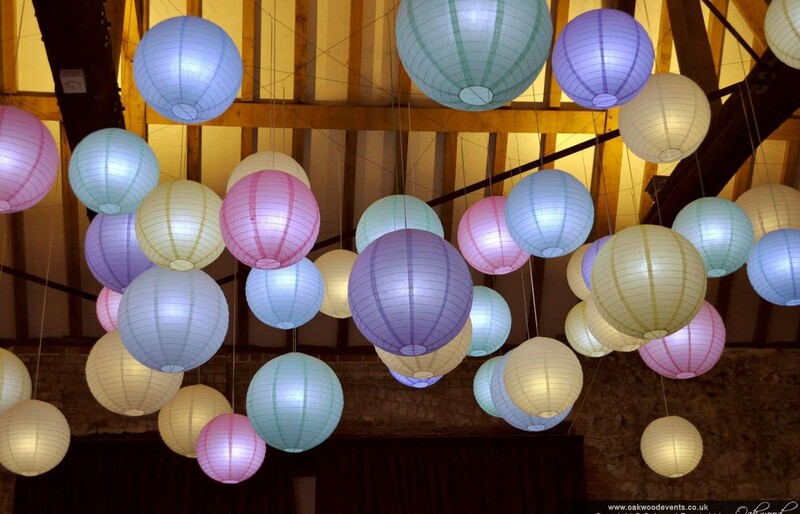 We have several designs available, and on this occasion we were delighted to install this brand new design for a stylish summer wedding. 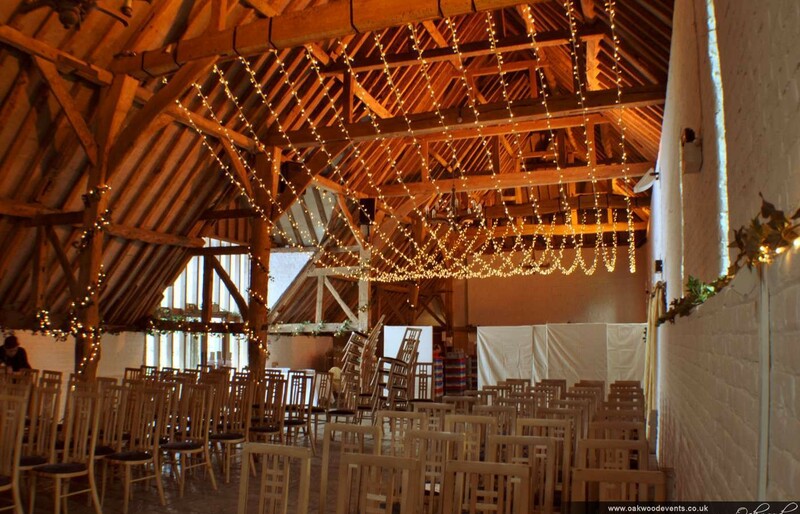 We visited the lovely Lains Barn near Wantage in Oxfordshire for the first time recently. 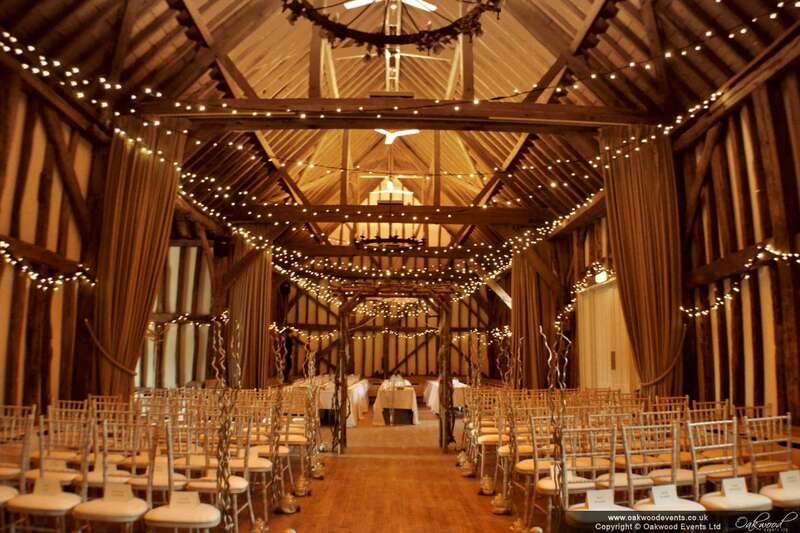 What an amazing venue! 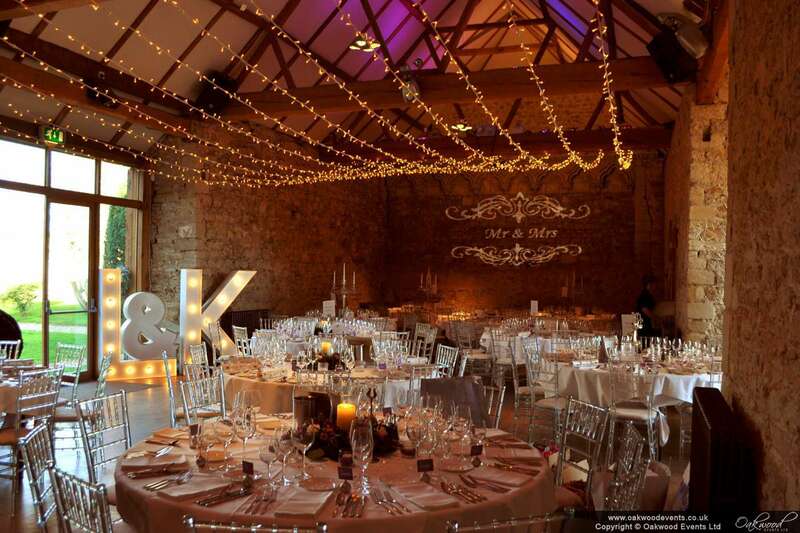 This was one of our favourite weddings so far this year! 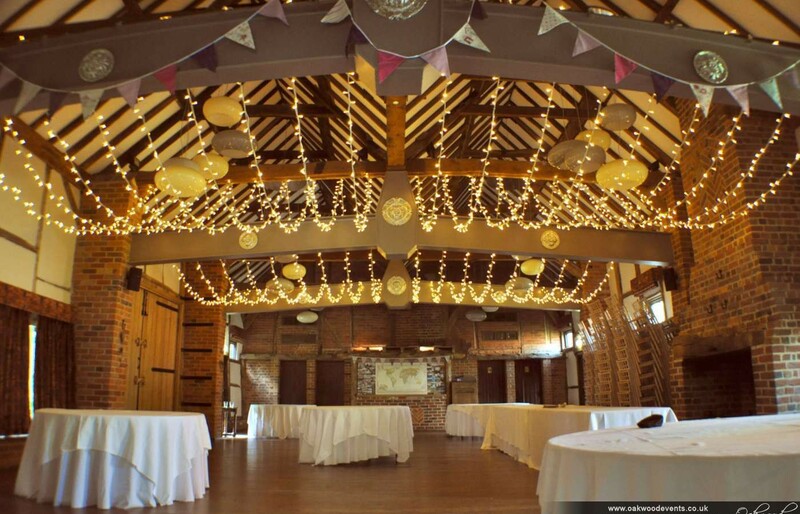 On a recent visit to the Manor Farm Great Barn in Ruislip we installed dynamic uplighting around the dance floor, along with fairy lights along the barn’s pillars. 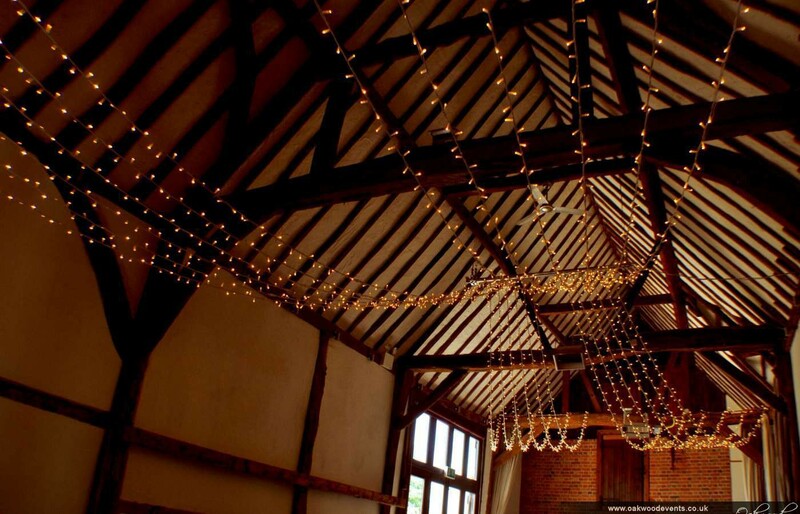 This gathered fairy light canopy at the Monks Barn in Hurley covered the full length of the main barn and featured a central 12-arm white chandelier as a focal point.